You're so selfie ready! Lightweight multi-use foundation hydrates, brightens and smooths your skin, plus it's blendable, buildable & has a sheer natural finish. Available in 8 shades. 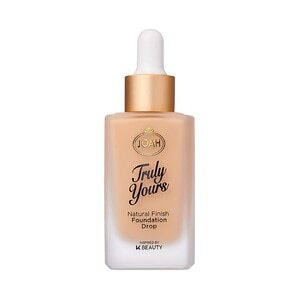 JOAH Truly Yours Liquid Foundation. Use your fingertips, a brush or makeup sponge in a patting motion to blend the foundation evenly all over your face, or where needed. Apply more foundation to build coverage, as needed. Top with JOAH Translucent Powder to set makeup in place.